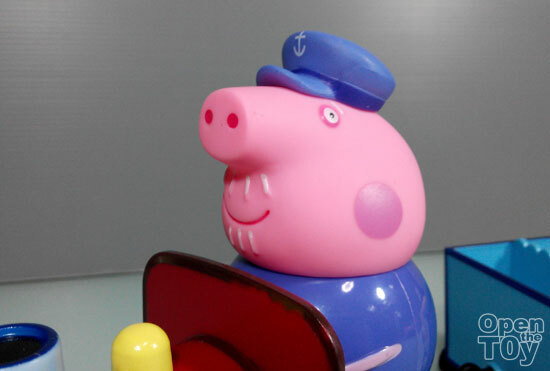 Here's another review on another Peppa Pig playset for my child and it is Peppa Pig on Grandpa Pig's Train. Kids love trains and for whatever reason I am not pretty sure. 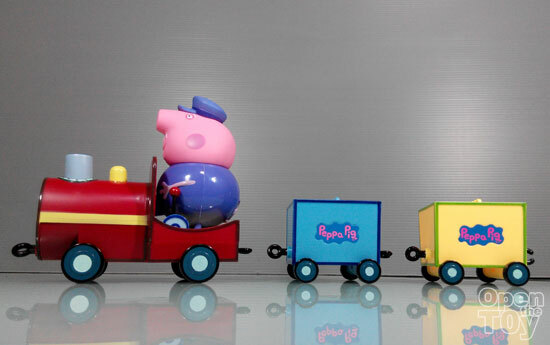 Somehow my kid just spent hours playing this train set by loading Peppa Pig figures up and down and push it along. 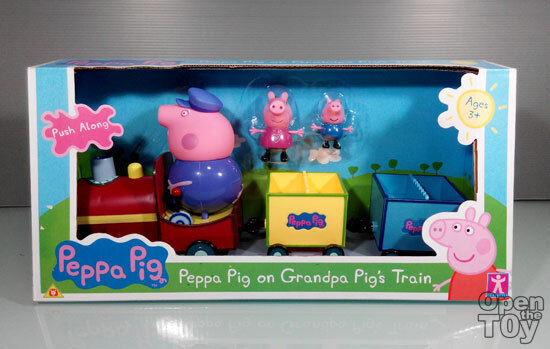 Out of the box, there are Grandpa pig as the train driver and 2 carriages. another was the Yellow carriage. 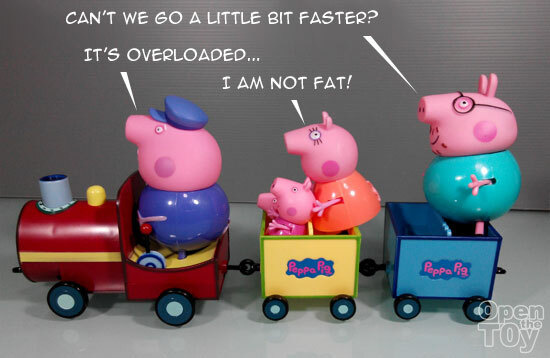 You can interchange both carriage anyhow you prefer. 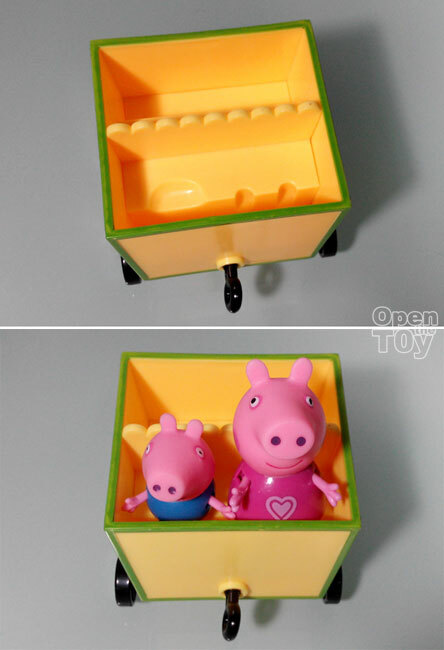 This playset comes with Peppa Pig and her little brother George. 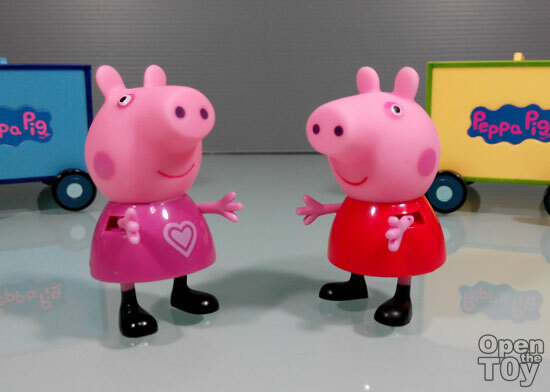 This Playset offer a unique Peppa pig in new dress in pink and a heart shape design compare to the plain red dress. 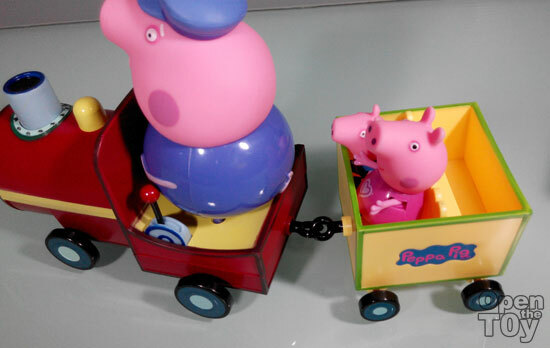 Both carriages offer some shape in the seat to better secure both figures. 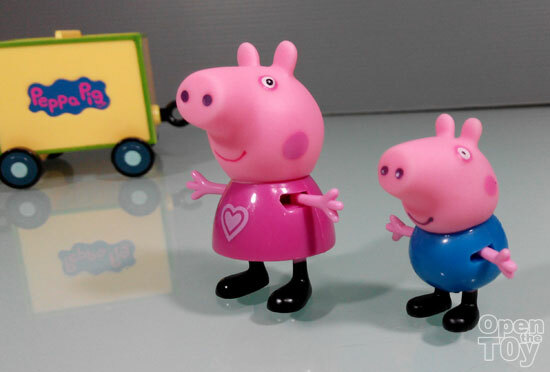 George on the left and Peppa on the right. 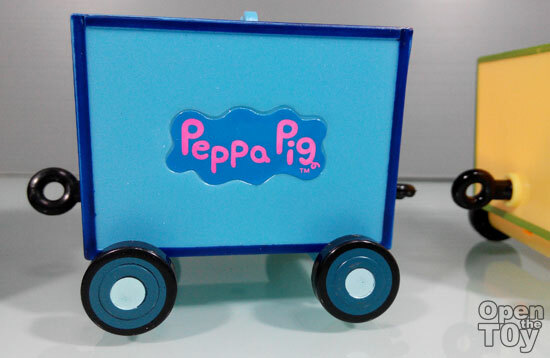 You can interlock the carriages at ease and removable. That being said, my kid love this arrangement to have everyone on board. 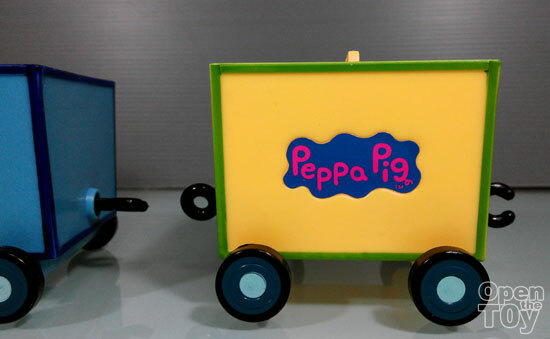 What do you think of this Peppa Pig playset?